Front desk staff were very helpful. The room was also spotless, close to everything we needed. Great location. Free parking. Close to Blackcomb. Right next to shops, including a grocery store and liquor store. The Village is right out the back door and you have access to countless dining options. We did not see our host but the check in folks only. It would have been nice to have the room before 4pm but it was not available according to the Cascade check in clerk. We left on our departure day by 0930 and had the keys turned in before 1000 as requested. It was a nice quiet spot, which is what we wanted. Great location, good value for money, space overall was just fine. The room was clean and spacious and there was a deck. The hot tub was awesome. Near restaurants and not far from Blackcomb mountain. Underground parking. Die Lage zur Stadt ist überragend, alles was man braucht ist in wenigen Gehminuten zu erreichen. Ausstattung mit Kamin, vollwertiger Küche und Gemeinschaftswhirlpool ebenfalls top. Marketplace Lodge by ResortQuest Whistler This rating is a reflection of how the property compares to the industry standard when it comes to price, facilities and services available. It's based on a self-evaluation by the property. Use this rating to help choose your stay! Located 11 minutes' walk from Whistler Gondola, these spacious suites offers a fully equipped kitchen and air conditioning. 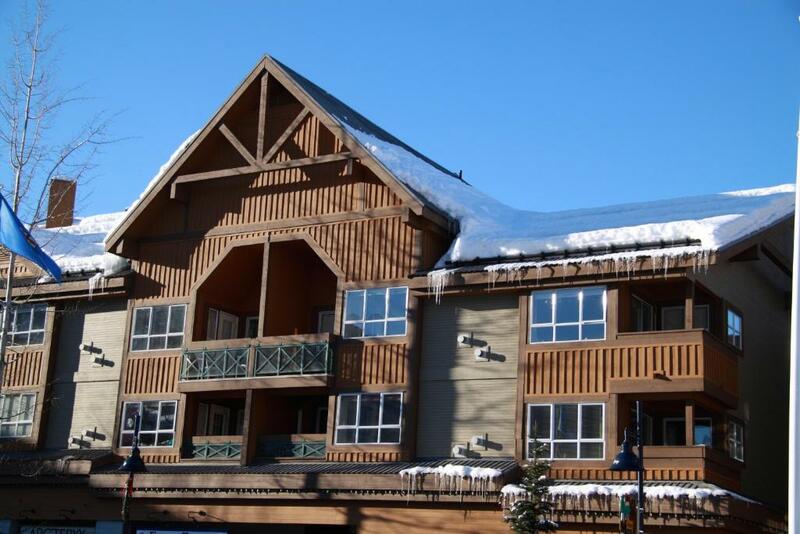 A gas fireplace and a balcony are provided in each suite at Marketplace Lodge by ResortQuest Whistler. Guests can enjoy a flat-screen TV and comfortable seating area. A private bathroom includes a shower with towels and toiletries. The Marketplace Lodge-Resort Quest Whistler features village shops on the lower levels of the building. Guests can also enjoy the indoor hot tub. Laundry facilities and free underground parking are available. The Whistler Golf Club is within a 5-minute drive of the Marketplace Lodge. The Whistler Health Care Center is 1,650 feet away. 뀐 Located in the real heart of Whistler, this property has an excellent location score of 8.5! When would you like to stay at Marketplace Lodge by ResortQuest Whistler? Fully equipped with a kitchen, this suite features a seating area with a TV and fireplace. A balcony is provided. Please note, the occupancy for this unit cannot exceed maximum occupancy of 4 people including adults and children. More people cannot be accommodated. Please note, the occupancy for this unit cannot exceed maximum occupancy of 6 people including adults and children. More people cannot be accommodated. A kitchen is featured in this studio. A lounge offers gas fireplace and a cable TV with DVD player. A balcony is provided. A wall bed is included. Please note, the occupancy for this unit cannot exceed maximum occupancy of 2 people including adults and children. More people cannot be accommodated. House Rules Marketplace Lodge by ResortQuest Whistler takes special requests – add in the next step! Marketplace Lodge by ResortQuest Whistler accepts these cards and reserves the right to temporarily hold an amount prior to arrival. Please note, at the moment of reservation the first nights rate including taxes plus 8.12% Resort Fee is charged as a deposit at the time of booking and is 100% nonrefundable. Please note, the property follows different age restriction check-in policies according to the season – SUMMER SEASON: 1 May- 27 November 2019: Only guests of the age 25 or older are allowed to check in, check out or stay at the accommodations without a parent or official guardian. WINTER SEASON 2019/2020: 28 November 2019 – 30 April 2020: Age Restriction - Only guests of the age 21 or older are allowed to check in, check out or stay at the accommodations without a parent or official guardian. Daily maid service is not included in the rental rate. A touchup clean and towel and linen change are included once every 4 days for stays of 5 nights or longer. Additional housekeeping services are available for a fee. Terrible hard bed, thin old duvet and only one extra blanket in the closet. Two mismatched pillows, one of which was really ready for the trash, the other one was so smelly I had to cover it with a tee shirt to sleep on it. Keys had to be picked up from a different hotel reception, 25 min walk away (inconvent for people without a car). The fridge was very loud and made for an interrupted sleep. Bathroom fan / heating systems were not easy to use (we couldn't work out how to turn the fan off!). Reception staff were welcoming and friendly. When making the reservation online, I made the assumption that the Marketplace Lodge would have a front desk. This is not the case, however. You have to check in at an off-property location (The Aspens) to get your keys (at least for the management company I went through; the Marketplace Lodge appears to have rooms available through multiple services). If you are unaware of this and show up with an out-of-country cell phone, it is hard to figure out how to get your keys because you won't have cell reception or an internet connection to look up information. Fortunately, the extremely nice folks at the ReMax real estate office next door let me log on to their wireless network and use their phone to call the company. After I was in contact with the company about their check-in procedures, everything was fine, though you do have to drive to their office (about 1.9 km from the Marketplace Lodge) to pick up and return the key. If I had called prior to my trip, this could have been avoided. Take-home: if booking at the Marketplace Lodge make sure you know the procedure for check-in and check-out in advance. The location was great - right on the edge of the Village and close to fun stuff. The bathroom sink did not drain properly but my husband fixed it. As we are older, it would have been nice to get into the suite a little earlier but we managed fine. The check in process is ridiculous You have to drive to blackcomb to pick up keys and drop them back on check out. And you only get one set and one fob So getting in and out of apartment was tricky.we had a childminder for our kid who had to leave the apt(and our sleeping child unattended )to let us into the building as we left her the key and fob set obviously. We also couldn’t get to our car without the fob so meant couldn’t do a full day skiing as we had to drop off the keys. Probably wouldn’t stay here again due to all of this. Key pick up half way across the village at midnight was a pain... so is lugging our stuff back there on check out to store it while we ski for the day. Brilliant location. Lots of storage. I was expecting to be it little bit more open and big. The key pickup from a distant Aspen Loday, The lack of information in the room about equipment. This unit is tired and needs a facelift. I have stayed at other units at Marketplace. The linoleum floor in the kitchen was torn and the furniture is tired. Smell of unfresh greeted me at the entrance. Place needs to have carpet, sofa and bed replaced to freshen up the place. I was expecting more based on pictures and price.